The post High Availability for Enterprise-Grade PostgreSQL environments appeared first on Percona Database Performance Blog. Why MySQL Certification Should Be On Your Radar – New Study Guide Available! New Available for Download here MySQL 5.7 Database Administrator Study Guide! MySQL boasts a customer list of top companies like Facebook, PayPal, YouTube, Netflix, and more. Customer industries span telecom and ecommerce to government, health care, manufacturing, and areospace to name a few. You can see where up-to-date skills and knowledge are a must for MySQL Database Administrators! Having the knowledge and skills to be flexible and quickly adapt to new business trends is important. Being able to lead these business trends is even more crucial. “MySQL 5.7 delivers a wide range of innovations allowing developers, database administrators and DevOps teams to build and manage next-generation Web and cloud-based applications capable of processing ever increasing volumes of data,” said Tomas Ulin, vice president, MySQL Engineering, Oracle. Whether you’re certified in an earlier version of MySQL Database Administration or this is your first foray into certification, the MySQL 5.7 Database Administrator certification will solidify your expertise and enhance your career. Earning certification gives top companies reason to trust you to administer their databases and keep their businesses running smoothly. Work faster and more efficiently to be a more effective database administrator using My SQL 5.7. It’s 3 times faster than MySQL 5.6 in benchmark tests. Deliver greater performance, scalability and manageability, plus enhanced NoSQL capabilities with JSON support and MySQL Router, which makes it easy to connect applications to multiple MySQL databases. Review the exam topics and then purchase a voucher to save your spot in this exam. The post This Week in Data with Colin Charles #54: Percona Server for MySQL is Alpha appeared first on Percona Database Performance Blog. 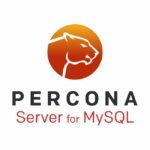 The post Scaling Percona Monitoring and Management (PMM) appeared first on Percona Database Performance Blog. The post Announcement: Alpha Build of Percona Server 8.0 appeared first on Percona Database Performance Blog. The post Percona Server for MongoDB 3.4.17-2.15 Is Now Available appeared first on Percona Database Performance Blog. The post Automating MongoDB Log Rotation appeared first on Percona Database Performance Blog.